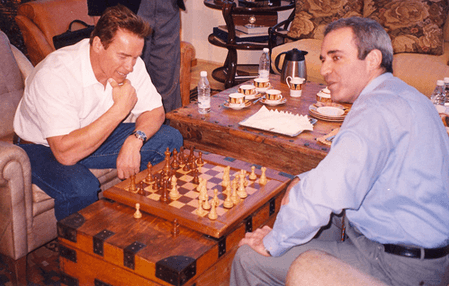 Today we are going to see some pictures of some of the greatest chess players. It is nice to see them in a casual way as they remind us that they are humans after all. 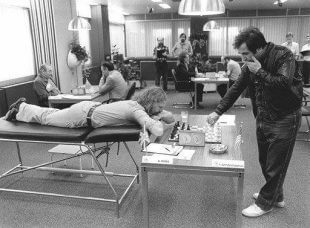 🙂 Yes, it’s time to see 10 rare photos of chess legends you’ve probably never seen! 1. 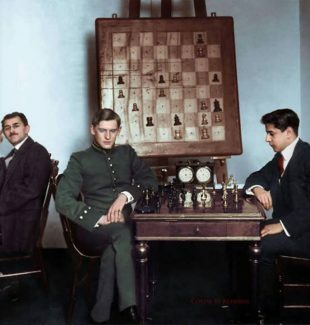 Here is a coloured picture of Capablanca vs Alekhine, 1913. 2. 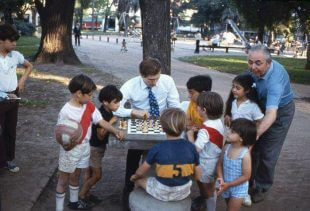 How nice it is to see Garry Kasparov at a young age! 3. 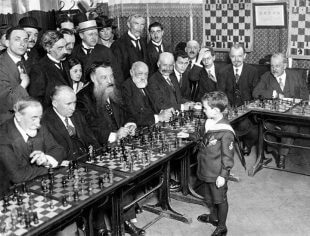 A photo of Samuel Reshevsky, age 8, defeating several chess masters at once in France, 1920! 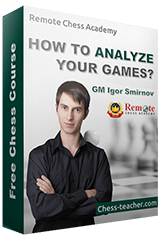 Following the events of World War 1, Reshevsky immigrated to the United States (1920). As a 9-year old, his first American simultaneous exhibition was with 20 officers and cadets at the Military Academy at West Point. He won 19 games and drew one. 4. This is the Bobby Fischer we don’t get shown very often. The Bobby who loved Chess and others who loved Chess. To him they were Family. You can see that the kids are wearing ‘River Plate’ and ‘Boca Juniors’ t-shirts, which are the 2 most important soccer teams in Argentina. 6. 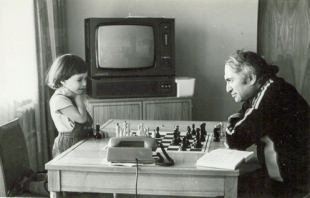 Here is a very nice photo of Mikhail Tal playing with his daughter Zhanna. 7. 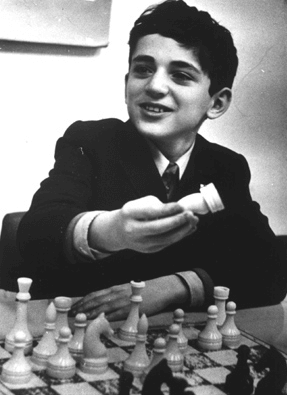 Tony Miles and Roman Dzindzichashvili at play in Tilburg, 1985. Due to back problems, Miles played his games in this tournament on this table in order to alleviate the pain. 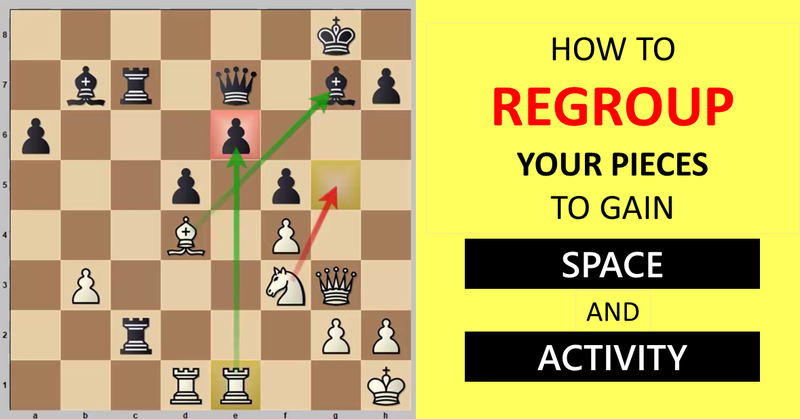 Dzindzi’s “protest” was to play his entire game standing up! 8. 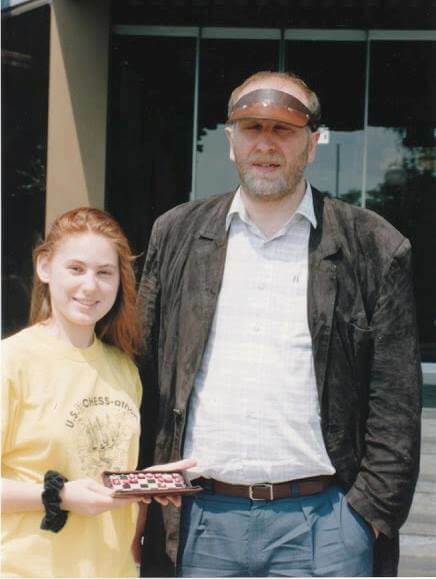 Is this the secret of Judit Polgar? 9. 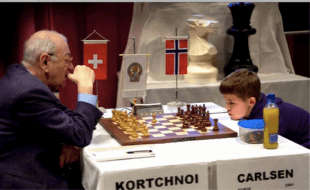 Young Carlsen playing against Viktor Korchnoi. 10. 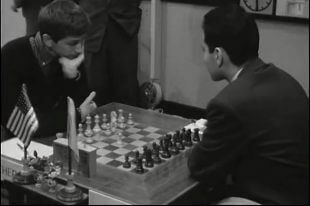 Fischer and Tal, Candidates Tournament, 1959. What is your favourite photo? Please comment below.